BOSTON – March 20, 2017 – Velcro Companies today announced that World’s Best Cat Litter™, a Kent Pet Group brand, has integrated VELCRO® Brand’s PRESS-LOK® closure into packaging for its new Advanced Series product line, starting with the new Zero Mess™ litter bags. The PRESS-LOK® closure features an audible and tactical fastener that assures cat owners the litter package is securely fastened to avoid unnecessary messes and provide easy storage. “We are committed to introducing new products that meet pet parents’ unique needs and Zero Mess™ is no exception,” said Jean Broders, brand manager of World’s Best Cat Litter™. “By adding the PRESS-LOK® closure to our packaging and including the logo of the trusted VELCRO® Brand, we are furthering our promise of providing quality, convenient, no-mess products that our customers will love. 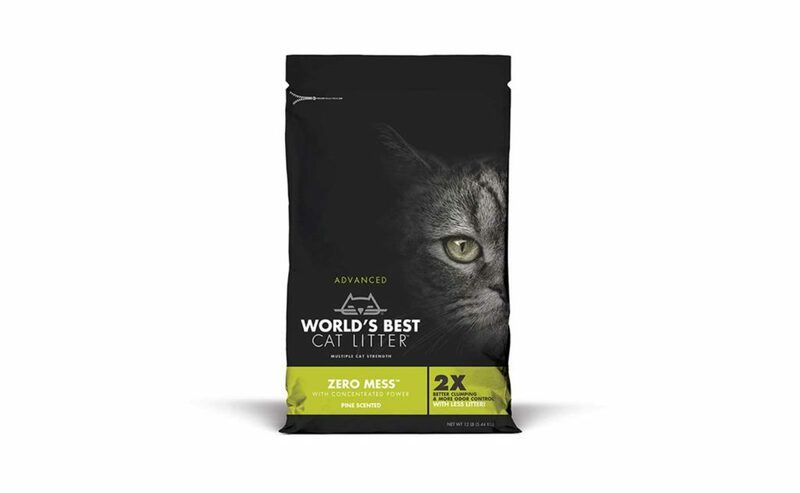 Zero Mess™ delivers the brand’s hallmark concentrated power to help cat owners do more with less litter, but adds unique ingredient combinations that address the top issues facing today’s pet parents. Zero Mess™ is the only litter that combines the concentrated power of corn with super-absorbent plant fibers that quickly trap liquids in tight clumps. The PRESS-LOK® closure will be available on both the 12 and 24-lb. packages of Zero Mess™ and Zero Mess™ Pine Scented. The VELCRO® Brand PRESS-LOK® closure system is a proprietary hook-to-hook technology. It was developed for the fast-growing flexible packaging market, allowing consumers to fasten their product packages easily with a non-tedious alignment structure. To integrate the closure into their packaging, World’s Best Cat Litter™ worked with packaging manufacturer Mondi Jackson LLC, of Jackson, MO. Velcro Companies will be exhibiting at booth 1204 at the Pet Food Forum in Kansas City, MO. from April 2-4, 2017, where the new Zero Mess™ bag designs will be on display. Zero Mess™, and all future Advanced Series products, will be available in pet-specialty stores and select online retailers. Visit www.worldsbestcatlitter.com to find a retailer near you. World’s Best Cat Litter™ is a family of clumping cat litters that offer concentrated power for a cleaner litter box. Our patented process harnesses the power of naturally absorbent corn to create formulas that guarantee outstanding odor control, quick clumping and easy scooping. It’s the pet, people and planet-friendly litter that truly works. Offered in a variety of clumping formulas and sizes, the litter is available in PetSmart® and PETCO®, select Target® and Walmart stores, and other leading pet and grocery stores nationwide. World’s Best Cat Litter™ is produced by Kent Pet Group, headquartered in Muscatine, Iowa. Visit www.worldsbestcatlitter.com.